The Tucson Unified School District (TUSD) has been honored with the Best Communities for Music Education designation from the National Association of Music Merchants (NAMM) Foundation for its outstanding commitment to music education. 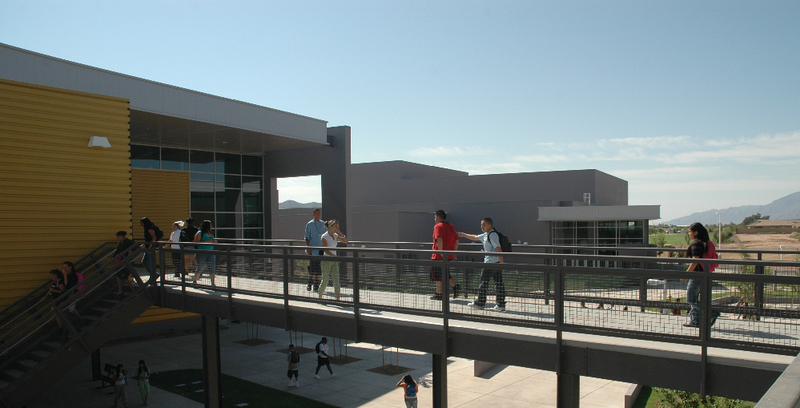 Acknowledged for the third consecutive year, TUSD is the only school district in Arizona to receive this recognition. 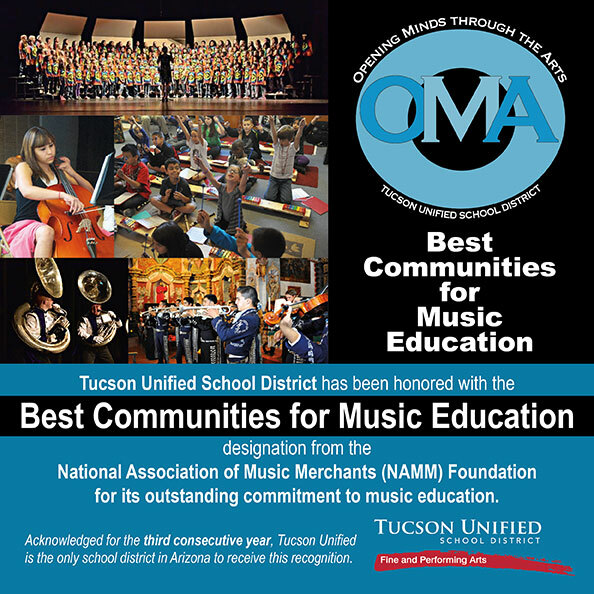 To qualify for the Best Communities designation, TUSD answered detailed questions about funding, graduation requirements, music class participation, instruction time, facilities, support for the music program, and community music-making programs. Responses were verified with school officials and reviewed by The Music Research Institute at the University of Kansas. 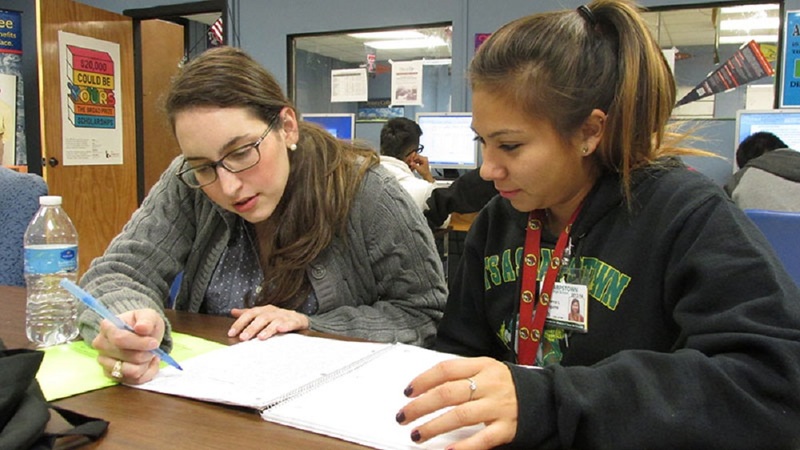 This award recognizes that TUSD is leading the way with learning opportunities as outlined in the new federal education legislation, the Every Student Succeeds Act (ESSA). 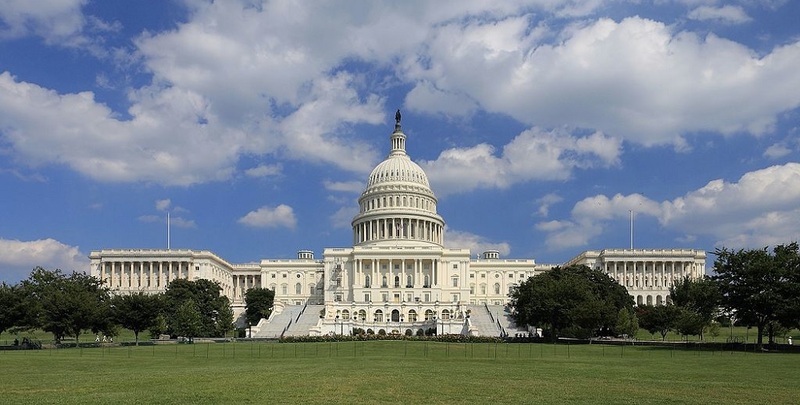 The legislation, signed into law in December 2015, replaces No Child Left Behind Act (NCLB), which was often criticized for an overemphasis on testing—while leaving behind subjects such as music. ESSA recommends music and the arts as important elements of well-rounded education for all children. A 2015 study, “Striking A Chord”supported by the NAMM Foundation, also outlines the overwhelming desire by teachers and parents for music education opportunities for all children as part of the school curriculum.